Is doing a pyramid better than just doing 400mg deca /500mg sust?? isn't it bad to just stop the cycle at that dosage??? shoudn't you come down slowly towards the end? I wouldnt' as that has went against everything I have learned. But, I see your point with SUST, has it's hard to tell when the levels are peaked or not. Your best bet is to hammer the clomid 3-4 weeks after your last SUST shot. Some say 3, some say 4. I say you pick. he fell apart after because of his tendents and joints. WTF is that supposed to mean? I suspect you mean TENDONS and joints. What supposedly happenend to them? his joints and "tendons*" got fu(ked up because he suddenly stopped the cycle. that's what he said and he also said that first time users should taper it just to see how your body reacts to it. tapering is an old myth. 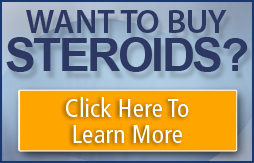 The steroids u mentioned have a long esters that will enable them to taper themselves. Hit all dosages and dont change. Deca will store fluids in the joints. Thus enabling you to lift more and more w/ out joint pain. No matter if u taper or not you will have joint pain at the end of the cycle after a bout 2 weeks when the effects of deca is tapering itself. The fluid will then leave the joints and it will be sore. The soreness wont last forever (unless your friend has injured and stretched his joints and was being masked by Deca lube). Train smart and dont ego trip w/ the weights and you will be injury free. If you are taking 250-1000mg sust in week there is no need to taper. But I think tapering is nessesary only with dosages goes over 1000mg. And after very long use. So its not old myth. But I would run in the end of short cycles propionate (Testex 25mg) Because it is active only coupple of days. Last edited by Gearnow; 03-24-2002 at 11:37 AM.